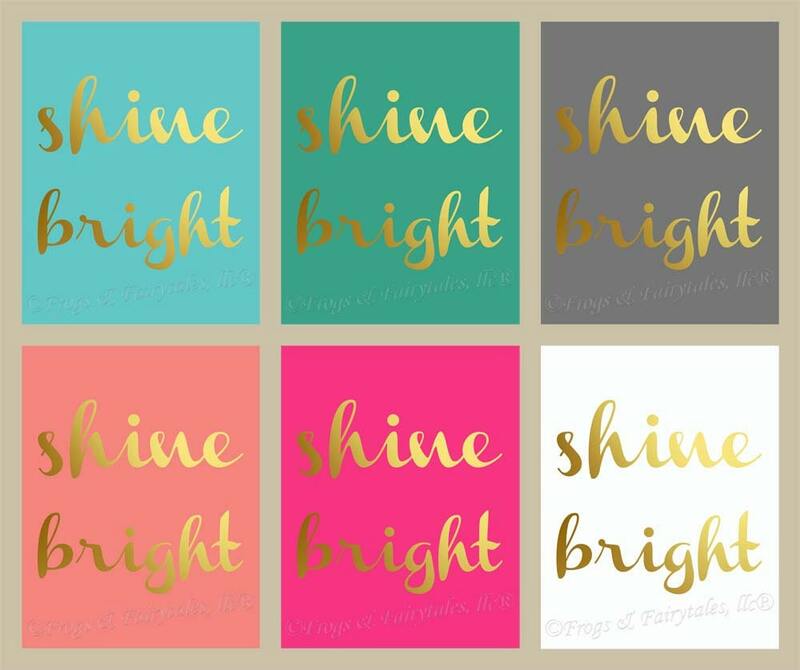 "Shine Bright" This is a great piece for your child's room, or any place in your house! The listing picture shows six color examples: with all words in a gold effect. Choose from one of the six colors shown above(from upper left to right-aqua, teal, grey, coral, hot pink, and white), or choose custom colors and leave them in the note to seller section. If you choose custom colors, we will email you a proof to approve before printing. This is a gallery wrapped print, printed on matte finish canvas, signed, and sealed with a semi-gloss to protect the art from dirt and dust. It can be hung with ribbon or a picture hanger. It is hung with a picture hanger unless you note that you'd like it hung with ribbon instead in the note to seller section of your invoice.